As a result of the order, 45,000 classrooms in close to 4,775 schools would be supplied 60,250 laptops and 43,750 projectors. 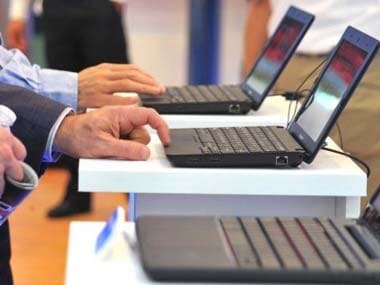 The Kerala government on Wednesday ordered that henceforth, only laptops and not desktops should be purchased for state-run schools. The order is in line with a recommendation of the Technical Committee of the Education Department. K. Anvar Sadath, Vice Chairman, Kerala Infrastructure and Technology for Education, the state government body that looks after the ICT needs of the schools, told IANS laptops have numerous advantage including portability, power backup and low energy consumption. As a result of the order, 45,000 classrooms in close to 4,775 schools would be supplied 60,250 laptops and 43,750 projectors before this fiscal ends on 31 March.